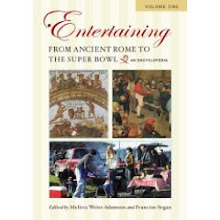 Rarely a day goes by that I don’t think of my 2006 culinary tour of Italy. I was on sabbatical with no business pressures, and had weeks to immerse myself in the culture, history and ingredients of Bologna, Tuscany and Florence. It was certainly a life-affirming and life-changing experience, particularly in my understanding of how history, ingredients, agriculture, locale and family all influence the nature of what we cook and eat. Memory is also a key part of the culinary experience. When I make pasta by hand, I remember Chef Roberto’s energetic guidance, and when I taste fine balsamic vinegar, I recall Mary Beth’s exquisite attention to detail as she taught us to identify flavor notes. Exceptional ingredients can transport me back to that time. 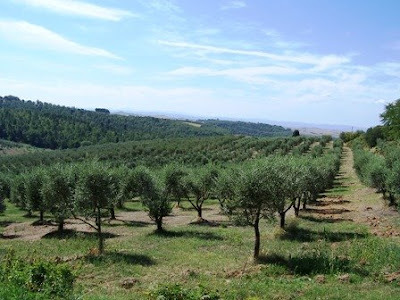 When I pick up a bottle of imported olive oil in the market, I instantly recall that hot September afternoon when I hiked through groves of olive trees from the winery at Fattoria del Colle to the medieval town of Trequanda. 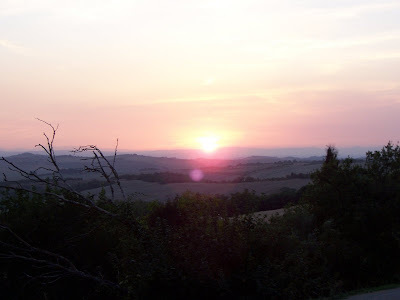 There was such an abundance of simple, wonderful ingredients that found their way into dinner and dessert as we cooked each night with a glass of wine in hand and watched a fiery sun set beyond the Tuscan hills. 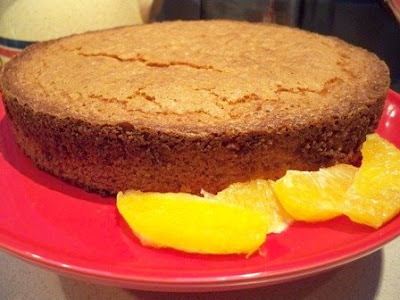 This bright and sunny Orange-Scented Olive Oil Cake recalls that extraordinary journey for me. There are many recipes for olive oil cake. This recipe from “The Modern Baker,” by Nick Malgieri makes two cakes, uses pure olive oil instead of extra virgin for smooth earthy flavors of the Mediterranean, and gets its sweet, bright finish from the zest of three navel oranges. It couldn’t be simpler, and the memories it evokes for me of the people and tastes of that trip couldn’t be more delicious. 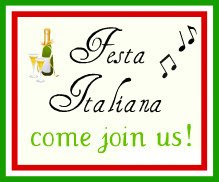 I’m bringing my Orange-Scented Olive Oil Cake to Maryann and Marie’s 2nd Annual Festa Italiana, a great opportunity to share food with good friends and remember those magical nights in Tuscany when the wine tasted fresh from the vine, the food and conversation filled the soul and the lights of Trequanda looked like fireflies against the late summer night sky. I feel I'm in tuscany already just by the sound of this wonderful cake! Thanks so much for joining us TW! I have never heard of Olive Oil Cake, T.W. Thank you so much for introducing me to it. I can hardly wait to see the dishes at the festa. I've never made an olive oil cake but can just imagine how rich and moist it would be. The orange flavor puts my taste memory right back in Italy. Your sabbatical travels sound wonderful; I'm sure I would have found it hard to leave. I have heard so much about olive oil cakes through the years. I can imagine how the clean citrus essence of orange would be the perfect counterfoil to the olive flavour as well :) I need to try this :D! I love using olive oil in pound cakes. This looks fabulous , T.W.! When my new orange tree produces its first fruits, this is one cake that I would love to make. Your olive oil cake looks fabulous at the Italian fiesta. I've got to have a slice. Your pictures of Italy are fabulous. I've never been to Italy but we've spent some time in the south of France and adore it. Italy is close, so maybe we can get there on our next trip. I love Italy, although I've only spent three days there and it sounds like you had a fantastic trip. The cake looks wonderful too! Your olive oil cake fits right in at the festa T.W. Count me in as one who's never tried olive oil in a cake. Your picture and description of it might change that though. I have that cookbook too, so there's no excuse for me not to make this. You make me feel like I'm in Italy, TW. I just put a pound cake in the oven and I was washing up and thinking of you, wondering what you were up to and what do I find -- your gorgeous cake! 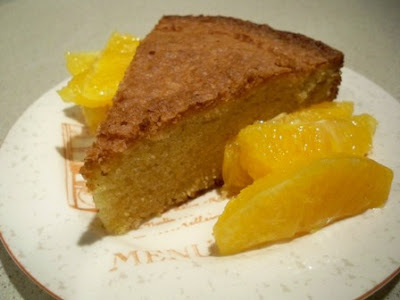 Funny, a friend made an orange-olive oil cake for dessert last week. Do you think it's something in the air. From your photos, it looks like there must have been many wonderful things in the Italian air. This sounds delicious -- I've only ever made lemon-scented olive oil cakes. Don't know why I've never gone orange, but this is suitable encouragement! Maryann - it is well worth it, and makes two cakes! Marie - glad to join in for such a delicious feast! Louise - It's so simple - you should try it. Lydia - I'll tell you that staying there was certainly considered, at least in my fantasies! Trini - Hi! Do give it a try - I think adding citrus to any pound cake would be a plus, but the combination of the olive oil and citrus is really magical. Veron - As I recall, you're an early adopter of olive oil in cake! Lori - I would love to have fresh oranges in my yard! Carolina - Welcome - thanks for visiting! I felt like it was impossible to take a bad picture in Italy! Kalyn - maybe the next blogging convention should be held there? Kathy - give it a try - I like the fact that most of the ingredients for a cake are right in the pantry. Susan - isn't it a beautiful book? I'm looking forward to trying more recipes. Dorie - Hi! Hope you've survived all the snow! I think we are all craving bright, spring flavors, don't you think? Duncan - I've never tried the lemon scented variety with olive oil, which sounds wonderful. I may swap out the orange and see what happens. Definitely on my "to-do"list. Aromas and foods bring me back to other places and other times more than anything else. we had the great privilege of tasting the cake and proclaim it a fantastic success!